This one room cabin is perched on a rocky knoll, off the grid, and inaccessible by road. The design was driven by the logistics of construction at such a remote site. 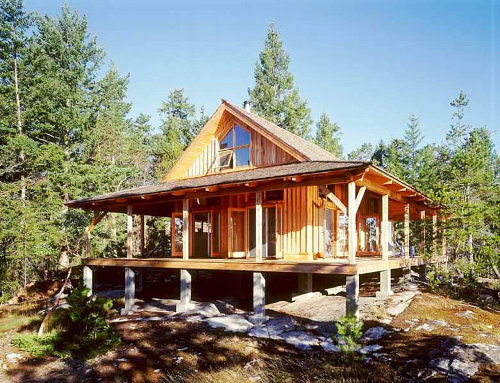 The cabin has a pier foundation that minimally disturbs the site and essentially eliminates excavation. The timber frame was prefabricated on the mainland and flown in by helicopter. 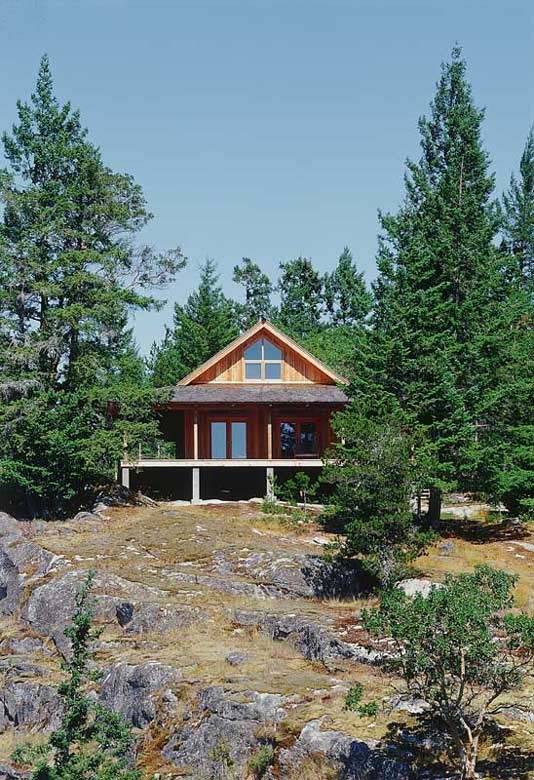 The exterior uses rough cedar timbers and rustic finishes to ensure that over time the cabin will blend naturally into its site.